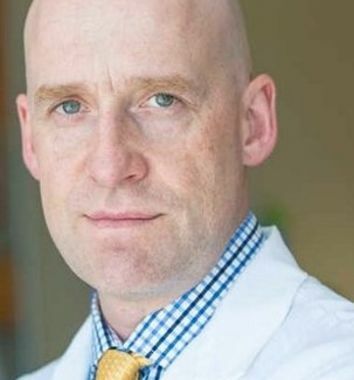 Dr. Bagshaw is an intensive care physician, an Associate Professor in the Departments of Critical Care Medicine, Faculty of Medicine and Dentistry and School of Public Health at the University of Alberta and a Canada Research Chair in Critical Care Nephrology. He received his M.D. from the University of Calgary, and went on to complete subspecialty training in Internal Medicine and Critical Care both at the University of Calgary. He also completed an MSc in Epidemiology the Department of Community Health Sciences at the University of Calgary. He further completed post-doctoral training in Critical Care Nephrology at the Austin Hospital in Melbourne Australia. His research bridges clinical trials, health services research and operations management across several themes in critically ill patients including acute kidney injury, vulnerable and frail patients and ICU organization. 2018-2020: A Pragmatic Cluster, Randomized, Crossover, Registry-Embedded Clinical Trial of Proton Pump Inhibitors vs. Histamine-2 Receptor Blockers for Stress Ulcer Prophylaxis Therapy in the Intensive Care Unit (PEPTIC Study). 2015 - 2021: STandard versus Accelerated initiation of Renal Replacement Therapy in Acute Kidney Injury (STARRT-AKI): A Multi-National Randomized Clinical Trial. Funded by CIHR, NHMRC, and HRCNZ. 2016 - 2018: Clinical Frailty Scale Score Implementation into a Provincial Bedside Clinical Information System (eCritical). Funding by Canadian Frailty Network.